Seminyak sits a little way along the coast from the famous Kuta Beach in Bali and provides a welcome alternative to its brasher and more crowded cousin. Seminyak has its own pretty beaches and there is a feeling of more space here as the crowds that descend on Kuta are not as prevalent in Seminyak. As Seminyak has a beach it also has some good surf and you can also rent a board here and ride the waves or just stick to swimming or sunbathing. One of the main reasons to come to Seminyak is to enjoy not only the beach but also the amazing beach bars and cafes that run along the coastlines and you will find a huge number of choices available which means that you will never go hungry or thirsty here. Many of the restaurants have foreign chefs in residence so if you want to try some fine dining then this is a great place to do it. People also flock to Seminyak for its nightlife although it is a little tamer than neighboring Kuta. Whereas Kuta has a number of nightclubs, Seminyak is more focused on beach clubs where you can sip a drink with your feet in the sand, although there are also some clubs to be found in the area. As if all that wasn’t enough, Seminyak is also known for its shopping with some of the biggest names in Bali choosing to open up shop here. As such, you can walk along the main shopping arteries of this part of the island and shop until you drop. 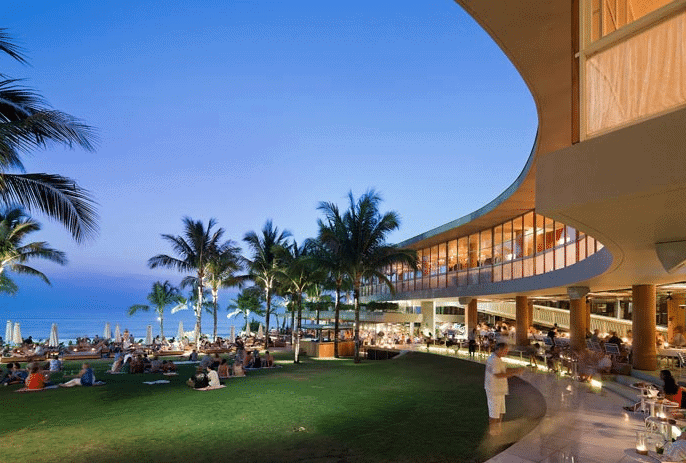 Potato Head Beach Club is one of the premium venues in Seminyak and has a large infinity pool and beach front covered in bean bags and sun loungers. It is the perfect place to come if you fancy a lazy day in Seminyak and you can also rent one of the cabanas here and stay all day sipping on cocktails and enjoying some of the poolside cuisine. If you want a cabana you will have to get here early as many of them are snapped up by 10 am, and some of the signature nibbles here include tapas and huge cheese and meat platters. There are also three restaurants here if you want some formal dining in the form of the Potato Head Bistro, Lilin which serves Asian fusion food, and Tapping Shoes which is a French take on upscale dining. Locals and visitors alike will tell you that the best coffee in Seminyak is to be found at Revolver. The small coffee shop sits at the end of an alleyway but it is worth seeking it out to sample the delicious beans here. 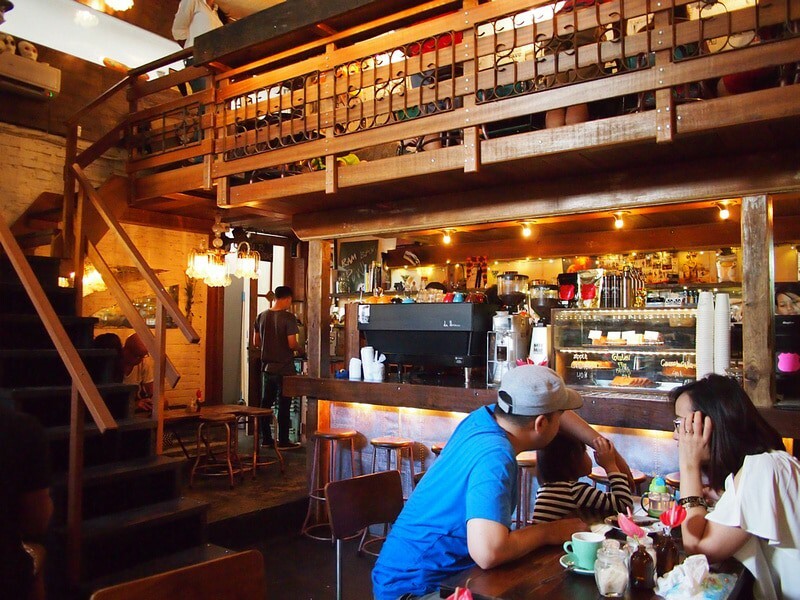 You will find a wide range of different coffee based drinks as well as a number of bean blends and the place is not short on character, particularly as it is styled to resemble a saloon in the days of the Wild West. They also serve delicious food so try and time your visit to coincide with breakfast or lunch. If you are in Seminyak and want to get PADI certified then consider a trip to Adventure Scuba Diving Bali. 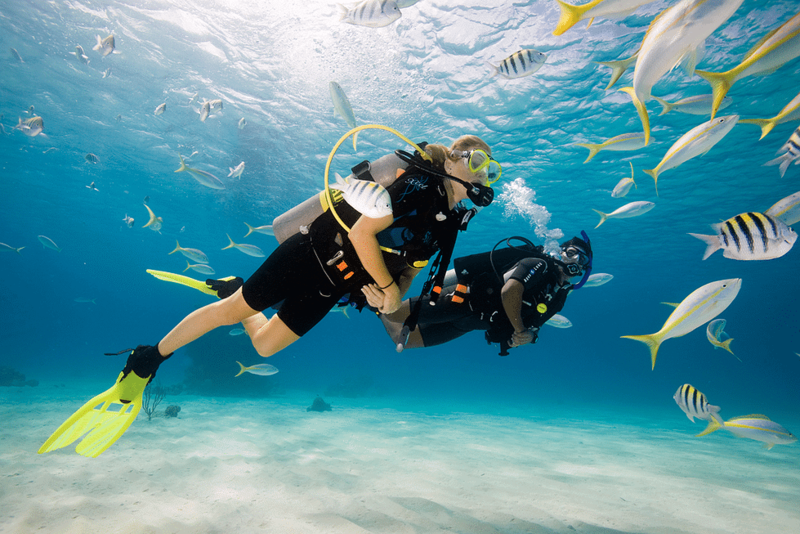 This Seminyak based diving school will teach you how to dive safely, or if you are already an experienced diver you can also sign up for a dive trip with them. There is no diving in Seminyak itself but there are a range of dive spots just a short boat ride away so you can hop onboard and enjoy the underwater delights that Bali is famous for. 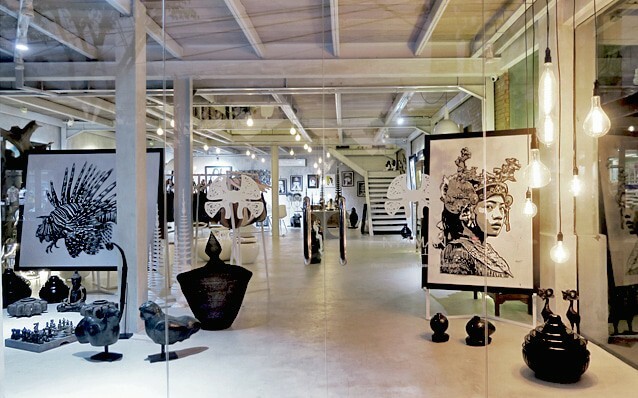 Nyaman Gallery is one of the best places to come in Seminyak if you are interested in art and want to support the arts scene in Bali. Most of the pieces on show here are made by local Balinese and Indonesian artists with an emphasis on showcasing up-and-coming new talent. There are a huge number of pieces on show here including wearable art, ceramics, painting, and sculpture. There are also items from around Indonesia such as ornate carvings from East Nusa Tenggara as well as hand blown glass and oil paintings. Almost all of the pieces are for sale, so you can also pick up your own piece of art as a souvenir of your trip to Seminyak. One of the most popular activities to enjoy on Seminyak Beach is the chance to go horse riding. Trips along the beach usually take two hours to complete and you can ride along the beach from Seminyak to Canggu. Each rider is assigned a horse and you will have professional guides to lead you along the sand to make sure that you can enjoy the ocean views in a safe and serene way. This is also a great choice for those travelling with a family as children are welcome and there are a variety of ponies to choose from. Seminyak Beach is a lovely spot of golden sand and always feels less crowded than Kuta, even though it is equally popular. The waves here provide some surfing opportunities although the surf can be a little inconsistent and this is also a good place to go swimming. If you prefer, you can rent a sun lounger and just take in the atmosphere and there are a huge number of stalls here that will happily sell you some ice cold beer or a soft drink as the perfect complement to the spectacular Balinese sunsets. One of the only real ‘attractions’ in Seminyak as such is Pura Petitenget which is one of six important sea temples in Bali. The temples line the coast from Pura Luhur Ulu Watu which is on the Bukit Peninsula and stretch to the most famous temple in Bali which is Pura Tanah Lot in the west of the island. Petitenget means ‘magic box’ and this is a reference to a magic box owned by a priest called Nirartha who would have lived in the 16th century. The priest regularly visited the temple which is why it was named after the magic box. Ku De Ta is one of the most popular places in Seminyak and is a large beachfront bar which has some great views over the ocean. They do a wonderful range of specialty cocktails and you can rent a lounger or sit on a bean bag on the beach and take in the scenery. There is also a resident DJ here that keeps the party going in the evenings and an onsite restaurant where you can order some bar snacks or a full meal. Bali is famous for its yoga and Seminyak is no exception. New on the yoga scene here is Seminyak Yoga Shala which is located on the central artery of Jalan Seminyak and also has a raw food cafe onsite. There are a range of different classes you can take every day that will suit a variety of levels of ability and you can also try different types of yoga such as Ashtanga and Mysore and there are also Qi Gong and Tai Chi classes available here. If you want to de-stress and unwind you can buy a day pass or sign up for a longer course of yoga if you are in town for a while. 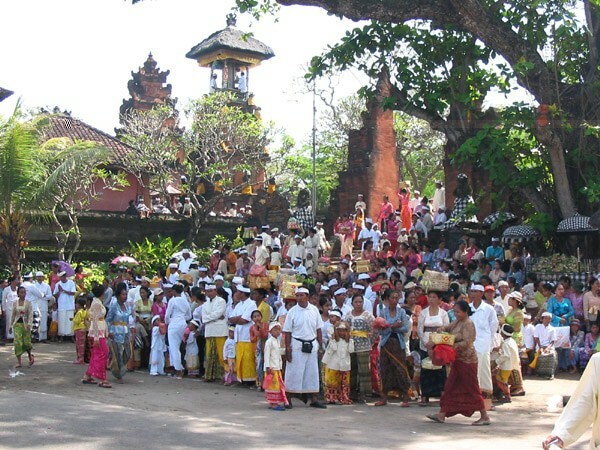 Along with Pura Petitenget, Pura Masceti is another famous temple in Seminyak although it is also a more specific one. Where Pura Petitenget is a sea temple, Pura Masceti is an agricultural temple which is used by farmers. Anyone linked to agriculture can come here to pray for rain or for insect infestations to stop damaging their crops and it is even known as a spot for builders to lay offerings before they break ground on a new villa. 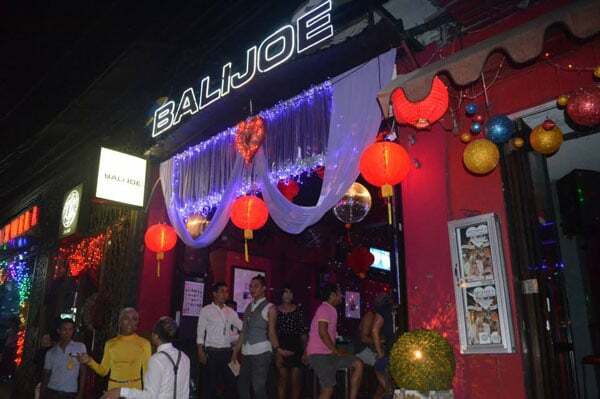 If you are looking for some nightlife in Seminyak then Bali Joe is one of the few openly LGBT venues on the island. While Bali is generally a permissive and open-minded place, some members of the LGBT community may feel more comfortable at a dedicated LGBT nightclub, and if this is the case then Bali Jo makes a great choice. The party keeps going on long into the wee small hours of the morning here and there are shows that feature elaborately costumed drag queens and go-go dancers who get the crowd on their feet. Jalan Laksmana is one of the main roads in Seminyak and is it known as a shopping haven not only in Seminyak but across wider Bali as well. Here you will find a vast selection of big brands which include resort clothes like Saba and Mist and surf wear such as Drifter. If you want to splash the cash then you can opt to shop at places like Milk & Roses or pick up some casual styles at Buddha Wear. Whatever your tastes and budget however, there is no doubt that you will find something to wear here. Some visitors may not know that Seminyak is famous in Bali for its sheer number of spas. Massage parlors are dotted all over this part of the area and if you want to relax and unwind then one of the best places to come is Bodyworks which has been in the business of giving soothing massages for years and has an array of different spa treatments. 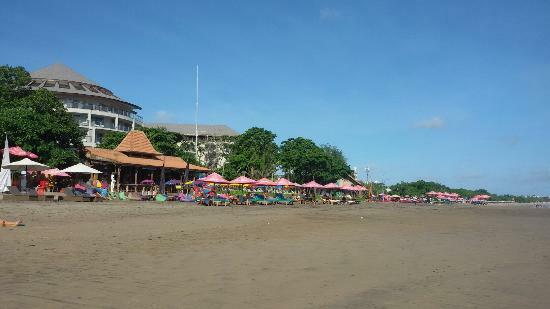 Double Six Beach is also known as Blue Ocean Beach and is actually a smaller part of the wider Seminyak Beach. Double Six Beach is notable however thanks to its pristine white sands and backs on to a range of bars and restaurants. If you want to find the nicest patch of sand in Seminyak then this is probably it, and you can sit on a bean bag with a cocktail and enjoy the sunset. 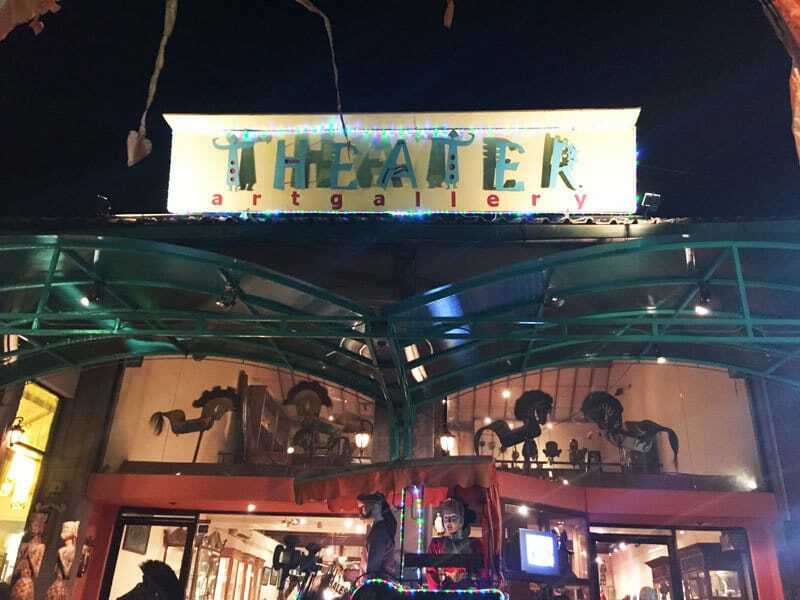 When it comes to the Theatre Art Gallery, the clue is in the name. The gallery focuses on showcasing beautiful Indonesian puppets called wayang that are used when performing traditional Balinese shows. You will find a wide range of different puppets on display here including both antique items and newer models, and this is not to be missed if you want to know more about this amazing Indonesian art form.